Strawberry jam oozes between two slices of white bread. A screaming girl pounds desperately at locked red doors. Uniform cans of tomato soup line supermarket shelves. Two bodies lie unmoving on a wet lawn, riddled with crimson flecked arrows. 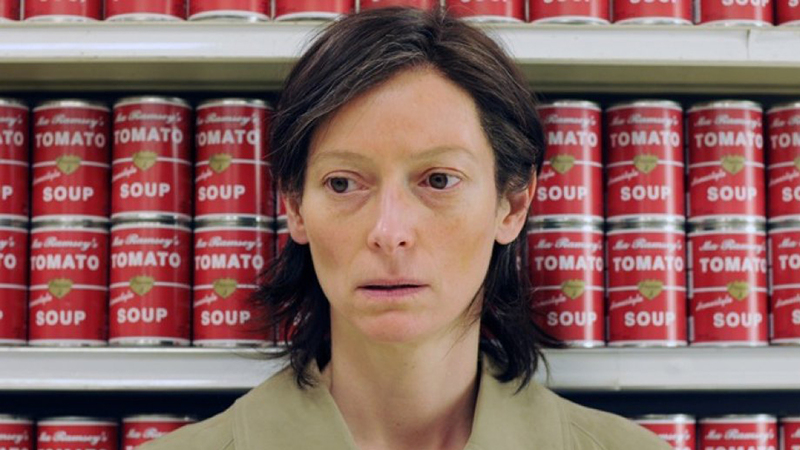 The colour red is inescapable in Lynne Ramsay’s 2011 film We Need to Talk About Kevin. It infiltrates the horrific and the mundane, blurring the line between the two. It’s reminiscent of Nicholas Roeg’s 1973 classic Don’t Look Now, yet only the latter is widely considered a horror film. Perhaps it’s because (despite all the red) We Need to Talk about Kevin features conspicuously little blood. It also declines to adhere to the linear structure favoured by most horrors, in which events escalate in increasingly extreme ways until a cathartic climax is reached. The narrative that Ramsay presents is fragmented, with the present-day action taking place long after the final atrocity has been committed. It reckons with trauma, but infrequently depicts it. The film begins with a dream of a memory. We see protagonist Eva (Tilda Swinton) covered in tomato flesh, her body held aloft like a sacrificial offering amidst the hedonism of the ‘La Tomatina’ festival in Spain. She looks ecstatic, grinning and writhing in the pulp. Then she wakes up, the same bloody hue highlighting the artefacts of her despair – pill bottles, dirty wine glasses, half-eaten meals for one. She steps outside to discover that vandals have haphazardly coated her home and car in glossy, scarlet paint. She spends the rest of the film cleaning it up, meticulously scrubbing and scraping each fleck of red away, day after day, while neighbours dispassionately look on. We learn from a constant stream of Eva’s memories that her life has not always been like this. We see she has known happiness, and not so long ago, that something truly awful has happened to her – or as we soon come to understand, someone. The eponymous Kevin (Ezra Miller) is many things. A sneering, supercilious teenager, firstly. A murderer too, serving time at a juvenile detention centre for an awful crime, the specifics of which remain shrouded in ambiguity until the film’s conclusion. He is also Eva’s son, the reason why she is regarded (and regards herself) as being culpable for his crimes. He is why, when a stranger slaps Eva, she assures a concerned passer-by that it’s her fault. Why she throws herself into cleaning her ruined home with such fervour, like the physical labour is an act of penance. Her memories, then, become something more than longing reminiscences or intrusive flashbacks in this context. They are part of an ongoing mental autopsy, a fruitless search for clues, signs, catalysts – anything that could ascribe meaning to a senseless act of horror. Kevin’s story begins with his conception, and telling glimpses of Eva’s pregnancy reveal her discomfort, distaste, even, for her changing body. We hear her screaming in agony as an unseen voice tells her to “stop resisting”. Then she’s sitting upright in a hospital bed, looking utterly dazed as her elated husband Franklin (John. C. Reilly) cradles their newborn son. As he grows up, Kevin perfects a persona of normality to perform for his father, only ever revealing his sadistic streak in Eva’s presence. Kevin is cunning, carefully staging his acts of cruelty to ensure that he can always evade blame. In a scene in which Eva is consoling Kevin’s little sister Celie about her missing guinea pig, Eva spots something blocking the garbage disposal. She makes a noise of disgust and looks out of the window to see Kevin playing with his father in the backyard. They meet eyes, and Kevin’s mask momentarily slips. Then he resumes playing, and we see Eva reach for the drain cleaning fluid. The implication is unambiguous, and sickening. Events come to a head when Celie is blinded in one eye with that same corrosive fluid while in Kevin’s care. It is only then that Eva explicitly gives voice to her suspicions, telling Franklin, “It was Kevin. Kevin did it.” Disgusted, Franklin walks away after telling her “I think you need to go talk to someone.” It’s ironic, then, that the film is called We Need to Talk about Kevin. No one ever does, not in any meaningful way. It’s left unclear whether Franklin truly believes his son to be blameless or is simply unwilling to look past his own carefully constructed denial. His easy, laidback demeanour further serves to make Eva seem hysterical by contrast. The paranoid, frenetic mother is a staple of the horror genre. Salient examples of the archetype can be found in films like The Babadook, Hereditary and Rosemary’s Baby, where female protagonists are repeatedly dismissed as crazy by their closest kin. Playing into sexist tropes of female hysteria and irrationality, these women are left isolated in the face of mounting danger. Instead of leaning on her husband to cope, a wine glass becomes a near-permanent fixture by Eva’s side. It’s part of what makes We Need to Talk About Kevin so difficult to watch. It’s a deeply human fear, to be disbelieved, made to doubt what we perceive. It’s similarly trying to watch Eva struggle to cope with the aftermath of what she feels she might have prevented. Audiences may find themselves wondering what drives Eva to go on in a world where she is both victim and vilified, denied sympathy for her own losses and blamed for those of others. Towards the end of the film, Ramsay finally confirms what she has alluded to since the beginning of it – that Kevin murdered Franklin and Celie before going to school and massacring his classmates. It is only after this revelation that we see Eva’s flinty composure fall away – her face crumples as she buries it into an old t-shirt of Franklin’s that she has taken to wearing, longing to find any lingering traces of his scent. Maybe Kevin lacked love, driven to a heinous act by Eva’s ‘refrigerator mothering’. Maybe he was simply a bad seed from birth, destined to wreak havoc and misery on the lives of those around him. Ramsay never reaches a finite conclusion on this. Instead, she shows us Eva, composure regained, ironing Kevin’s t-shirts. She folds them carefully, taking them upstairs to put them away in a freshly painted bedroom. She makes the bed, meticulously, the way we’ve seen that Kevin likes it. Then she picks up his well-worn copy of ‘Robin Hood’ and places it on the shelf. It’s all ready, waiting for his inevitable arrival. In many ways, Eva can be considered an incarnation of the ‘final girl’ archetype, the lone survivor of a vicious killer, the last one left alive to confront him at the end. But because that killer is her son, there can be no triumph. It might be the most brutal aspect of We Need to Talk About Kevin, that after everything Kevin has done to Eva, has taken from her, she is painstakingly preparing to welcome him back into her home. Why? Because he’s all that she has left. He’s made sure of it. 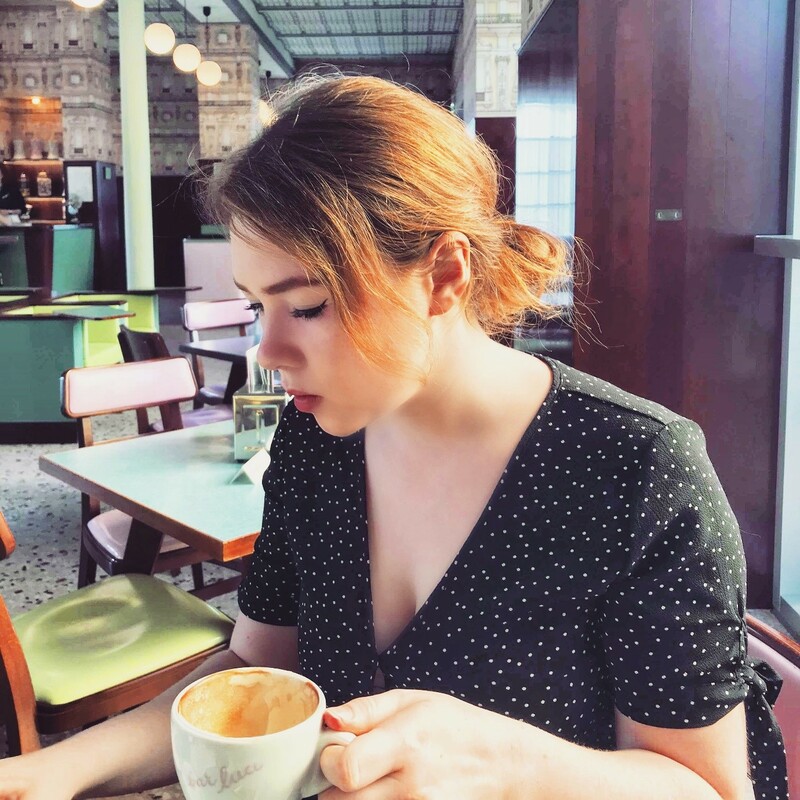 Beth Inglis is an English graduate and writer from Hertfordshire who enjoys good coffee, bad weather and movies. Her favourites are Harold and Maude, Stoker, Rushmore and Ruby Sparks – this week, at least. She can usually be found selling records, hunched over a desk or looking for her lost glasses. You can follow her on Twitter or Instagram.